Jump to video 20 percent more oil? 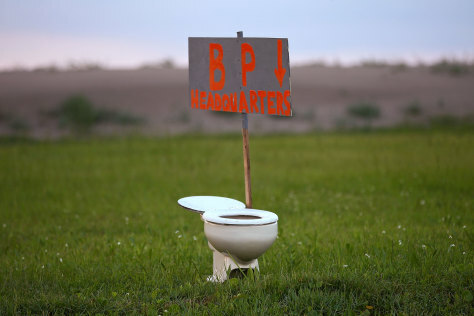 A sign left by the side of the road points to a toilet on May 30, 2010 near Grand Isle, Louisiana. With BP's failure to stop the flow of oil from the Deepwater Horizon well, residents of the Gulf Coast are growing increasingly frustrated.